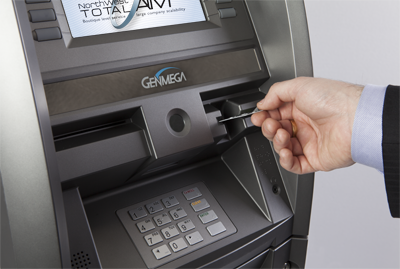 Rapid deployment of 1 up to 20+ ATMs at one location or multiple locations at the same time. Flexible vault services: Use ours or we can provide access to use yours. Same day analytics of all deployed machines. You get paid immediately that day on your share of the profits – no waiting for ACH or a check in the mail. Rain or snow or shine, we can place virtually anywhere and can connect to the top 3 major cellular carriers. Call and talk to us about our warranty and tech support. We can offer our lifetime warranty and repair on your ATM if you process your transactions through us. No more worrying about a keypad breaking and being down while you find someone to fix it. We might be able to get up to $600 credit for your old ATM. Call and setup an appointment for us to look at your setup. Why Get an ATM at all? • The typical ATM customer will spend 15% more than a non-ATM customer in a convenience store. • This percentage rises in a bar, nightclub, or restaurant location. • Indoor and free-standing ATMs are the most widely used types of machines, followed by drive through machines. • Half of adult Americans use ATM machines on a regular basis; higher income Americans use them most often. • 40% of regular ATM users will visit a machine an average of 10 times per month. • 60% of Americans between the ages of 25 and 34, and 51% between 35 and 49 use ATMs an average of 8 times a month. • The average withdrawal is $60.00. • According to a recent survey, 43% of customers prefer to receive cash from ATMs regardless of whether or not their bank is open. • The average ATM customer will spend a substantial portion of site-accessed money with your business. • ATM machines bring customers to your business so that they may access the ATM. • ATMs provide ultimate convenience to your customers. • Having an ATM machine saves your business from having to take checks. • Eliminate credit card charge backs. • Save your business the percentage you would normally pay the bank on credit card transactions; ATMs generate income with every transaction. • ATMs attract more customers, increase sales, and reduce bad check losses to zero. Best of all, we offer 24/7 maintenance to keep your business running along with a 100% lifetime warranty on all parts/labor standard on all ATM’s through NW Total ATM. Installation includes permanent store location as well as event rental.